Christmas is supposed to be a magical time. The season is full of gifts, bright lights, family, friends, food and sentimentality. It brings back memories of days long since passed. But for parents? Well, for parents, the Christmas season can be stressful. Scratch that: It can be hella hard because we are all trying to live up to some impossible ideal set forth by the Hallmark Channel and/or that damn man in his bright-red suit. But it seems at least Saturday Night Live gets us. In a hilarious and all-too-relatable bit entitled “Best Christmas Ever,” the sketch-comedy show reminded us what the season is really about. 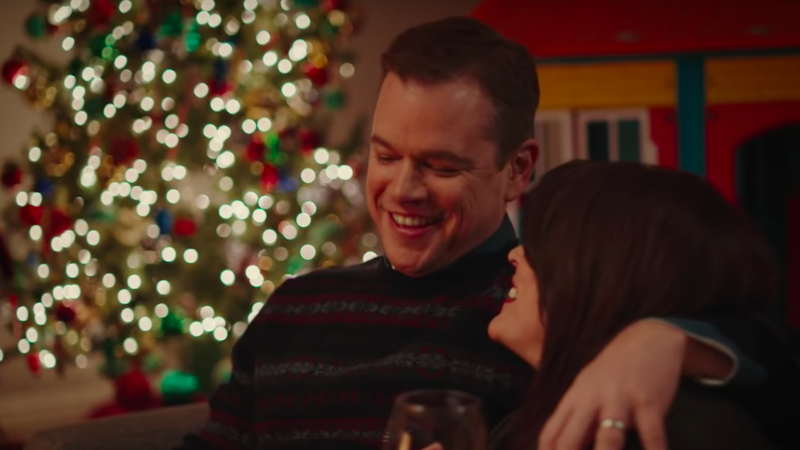 The sketch begins with host Matt Damon and his on-screen wife, Cecily Strong, sitting in front of their fireplace. The two are enjoying a glass of wine and reliving Christmas Day. And while everything appears to be perfect — with Damon boasting it was “the best Christmas ever” — we quickly learn the day was anything but, starting with the kids jumping on their bed… at 5:41 a.m. The bit then continues with Damon and Strong asking each other a slew of questions, from, “They liked their presents, right?” to “My family didn’t ruin your day, did they?” And while both respond with comments like, “Dana loves her playhouse,” and “They made my day,” the flashbacks show their responses are — well — optimistic. At best. Oh, who are we kidding: They are completely and totally dishonest. As for the upcoming holiday, do yourself a favor and grab some coffee, scotch, nicotine, wine or what have you now — because the day of unwrapping, building, baking, screaming, kicking, crying and “magic” is almost here. Godspeed.